You, me and those who came before: How can The National Archives help support your Refugee Week events? The National Archives holds records relating to the government in England and Wales, and, importantly, the governments interaction with the wider world. We hold records covering 1000 years of history, from the Doomsday Book and the Magna Carta, up to the current archiving of government twitter feeds. Ultimately, our records are the story of people. 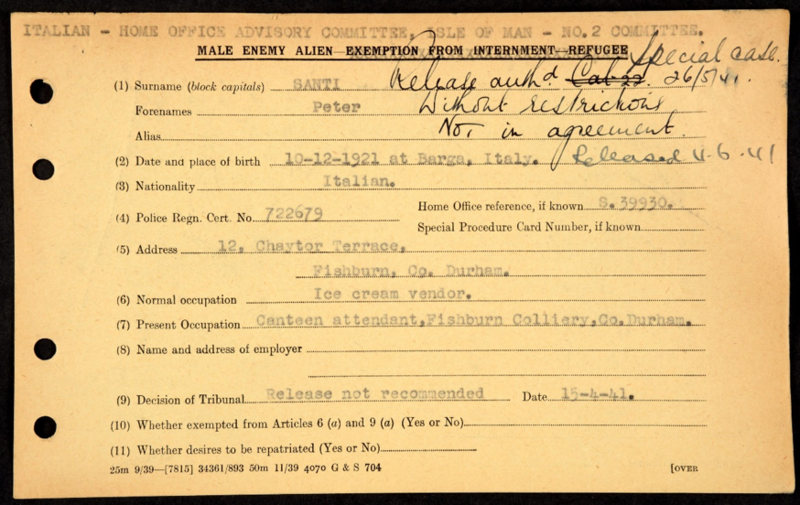 Amongst these many records, The National Archives holds a large quantity and variety of records relating to refugees. 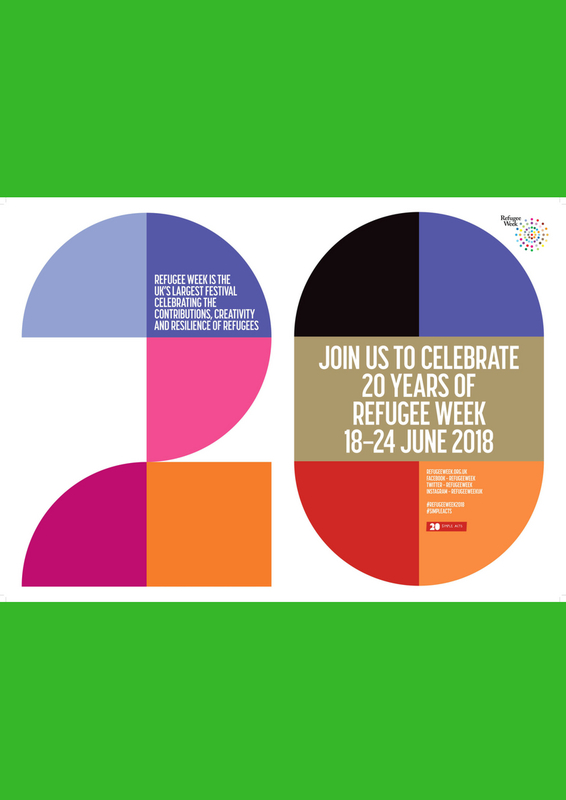 These records have the potential to add huge value to Refugee Week events – we would love you to consider working with our archival material to reflect on the 2019 Refugee Week theme of ‘You, me and those who came before’. 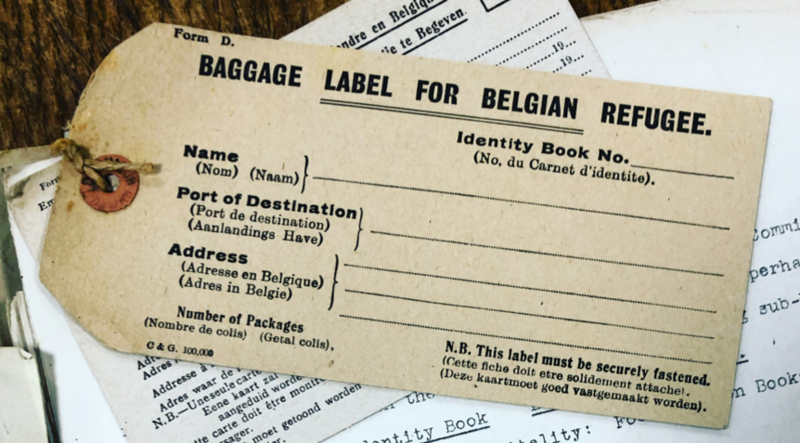 This luggage tag is a small item – relating to Belgian refugees in the First World War – but also a trigger for a plethora of potential conversations. Particularly since the start of the 20th century, Britain has been a refuge for many displaced populations from around the world. It can be extremely difficult to trace individual histories. Refugees who lose their rights as a citizen often lose the documents that record their legal identity – the lack of documentation often makes their records harder to trace. 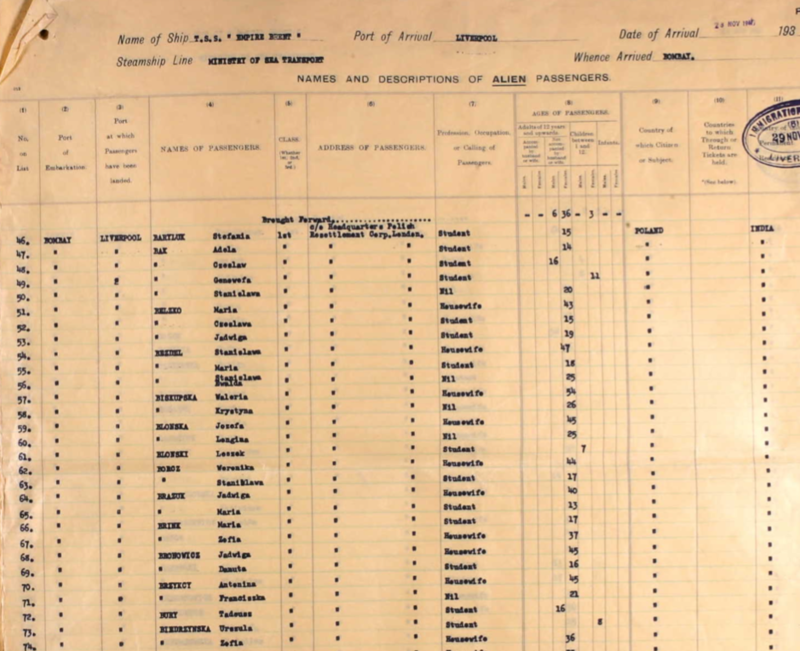 The main records about an individual’s journey will probably be among documents created when the person travels, such as passenger lists. This is the passenger list for the Empire Brent from 1947. My Babcia (or grandma) is listed alongside her mother Valeria. She travelled from India to England after being displaced from Poland during the Second World War. Because this records survives I can find out details about the vessel she travelled on, when, and to where. Within this government material, personal stories and emotive records can be found. Archival records can be used as starting points to conversations, reflecting on connections between the past and present. Such archive records can show the connection through history to a sense of shared experience now. 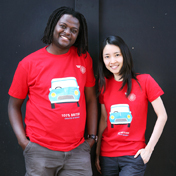 In particular we have collections on…. 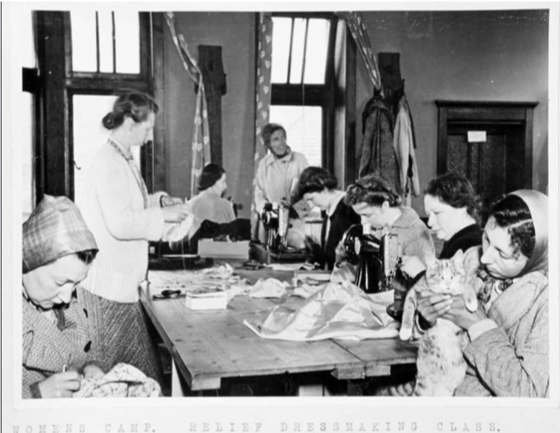 Our research guide provides lots of information on how you can navigate our records to find material relating to refugees, How to look for records of Refugees. My message to you is, if you’re interested, these records are freely available to view; they are public records. We are open to partnership, collaboration and supporting events where we are able to! Find out more information about researching and how to visit us on our webpages.